Bankruptcy Is Not The End. It Is The Beginning. Sometimes, events in our lives conspire to cause us financial pain, anxiety and fear. We get sick. We lose jobs. Misfortunes cause our debts to far exceed our assets and income. Many people see bankruptcy as the end of the road. At the Lefkovitz & Lefkovitz law firm, in Nashville, Tennessee, we see bankruptcy as an opportunity for a new beginning. For more than 35 years, our lawyers have secured debt relief and peace of mind for corporate and consumer bankruptcy clients throughout the state. We have helped local individuals and businesses, nationally known celebrities, multimillion-dollar corporations, as well as regular, hardworking individuals to get out of debt and stay out of it permanently. To learn more about our full range of corporate and consumer debt-relief services, contact us today. Our founding bankruptcy attorney, Steven L. Lefkovitz, in conjunction with his son, Jay Lefkovitz, have nearly 40 years combined legal experience. They have guided tens of thousands of cases in the areas of business, commercial, corporate, and consumer bankruptcy and insolvency law. He and our other lawyers represent clients in all types of bankruptcy in state and federal trial and appellate courts. We accept tough cases, and can represent clients in appeals of cases previously handled by other attorneys. Meet with us, and we will discuss your concerns, evaluate your circumstances, and provide you with clear options for improving your financial situation. We will take the time you need to understand your bankruptcy process, how it will affect you and how you can stay out of debt in the future. We will strive to make the bankruptcy process as clear, easy and painless as possible. 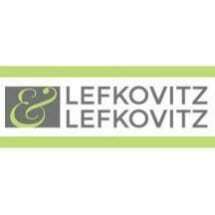 Lefkovitz & Lefkovitz is ready to help you identify and execute the debt-relief solution that is most appropriate for you. Contact us today to discuss your concerns, and learn your options, in a free, initial consultation with one of our experienced Nashville bankruptcy attorneys. Our downtown Nashville law office is within walking distance of the Tennessee Supreme Court and the Court of Appeals. Parking is available across Church Street at the Public Library of Nashville. Our law firm offers evening and weekend appointments for your convenience. One primary goal of a Chapter 7 case is the debtor receiving a discharge of prepetition debts, while concurrently being able to retain exempt property to enable a fresh financial start. Chapter 11 is generally referred to as a reorganization bankruptcy, and is designed for individuals or businesses with substantial liabilities and assets. In a Chapter 13 case, debtor proposes a plan to pay creditors with their disposable income over a three or five-year period. At the end of the plan, the debtor should emerge with the remaining dischargeable debts discharged. Chapter 12 allows family fisherman and farmers to reduce debts and spread out payments for debt service through mechanisms unavailable in a Chapter 7 or Chapter 13.